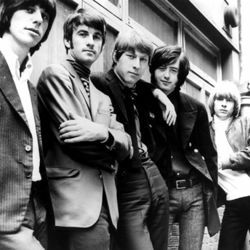 The Yardbirds were a 1960s English rock band who instigated hard rock, heavy metal, and psychedelic rock — for which they were paid in Fool's Gold. Hailing from Crawdaddy in the old colony of Queensland, The Yardbirds developed as a five piece musical cabal — Five Live Yardbirds — who are most noted for launching the careers of the Super Three or the three greatest bass players in history, viz. Paul Samwell Smith, Jimmy Page, and Chris Dreja. Before the Yardbirds, popular music was extremely dweebish, with grinning goofball bands like The Beatles playing chintzy popped-up nursery rhymes such as "Luv Me Do", "I'm Down", and "Money". 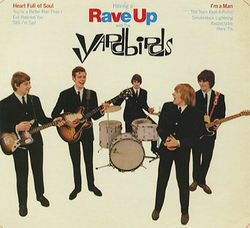 The Yardbirds changed all that by writing sensible songs, like "For Your Love", "Over Under Sideways Down", and "You Don't Need Money", as well as by introducing the proper use of a stringed instrument called the guitar. The Yardbirds crossed the electrified guitar with fuzz, feedback, distortion, sustain, theomania, apotheoses, and maximum volume — quite a heady mix of ear-bending chaos. They're also famous for their rave-ups, as well as their affinity for playing musical chairs on lead. The Yardbirds invented psychedelic rock, e.g., "Shapes of Things"; humanitarian psych, e.g., "Mister You're a Better Man Than I"; and occasionally crap rock, e.g. "Ha Ha Said the Manager". They practically influenced more garage bands than any other group in history. The boys even influenced The Beatles, who were too tight, and The Rolling Stones, who were too loose, until they heard The Yardbirds. 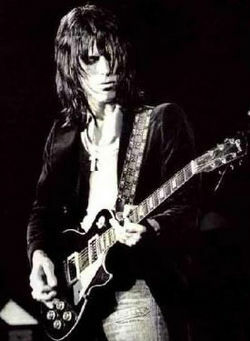 In fact, neither of those bands, nor any others, even knew what lead guitar meant until they heard The Yardbirds. The final power cord ending the solo on Shapes of Things reverberated around the cosmos giving birth to a new sound: METAL. Garages across America were stuffed full of Yardbirds wannabes, thus creating a national parking problem that almost led to another Ice Age in North America. At the last moment this certain disaster was averted by a group named Spinal Tap — who played at Vol. 11, which heated up the entire planet. 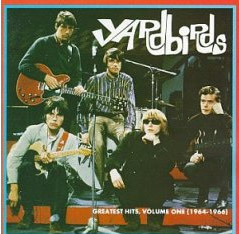 Tap, along with The Beatles, The Rolling Stones and Aerosmith, are all Yardbirds wannabes. The Yardbirds, particularly drummer Jim McCarty and guitarist Chris Dreja, have repeatedly reformed the Yardbirds to perform charity shows to undermine the Illuminati's New World Order. The other members, minus late Keith Relf, retired to a monastic life in contemplation on the mysteries and injustice of too much monkey business. In 2014, Dreja had supposedly "quit" because he had some unknown illness. Another Yardbird, Anthony Topham had filled in his place. This page was last edited on 24 May 2016, at 16:27.